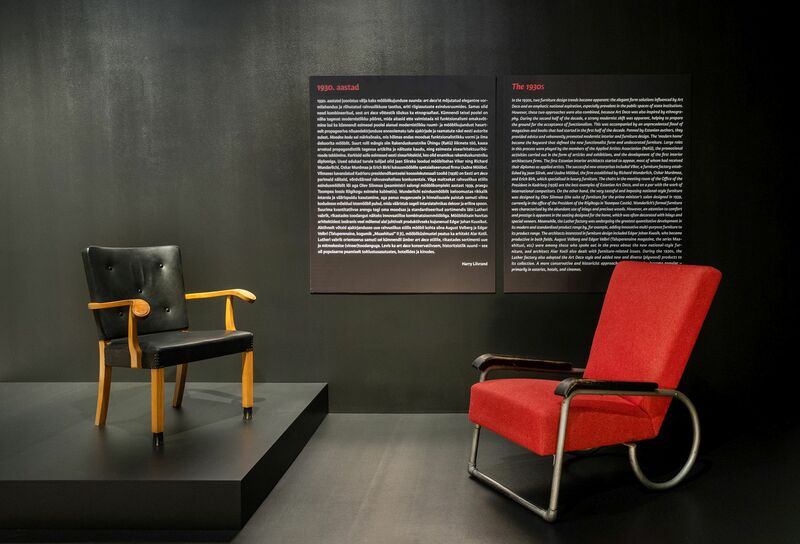 29 January / From this Thursday, 31 January the new exhibition ‘The Story of the Estonian Chair’ on 100 years of Estonian chair design is open at the Estonian National Museum (Muuseumi tee 2, B entrance). The exhibition, created in cooperation with the Estonian Association of Interior Architects, is curated by art researcher Harry Liivrand, designer Lilian Sokolova and interior architect Katrin Tammsaar. The exhibition examines the history of Estonian furniture chronologically and via style history from the beginning of the 1920s until the second decade of the 21st century. The Estonian National Museum (ENM) will be exhibiting iconic chairs that can be found in public spaces and in many homes, as well as chairs once popular but lesser known to people today. However, the exhibition will also include products made by large furniture manufacturers, such as plywood chairs from the Luther factory in Tallinn, furniture designed by Jaan Siirak for the Viker factory, products from the Standard integrated furniture factory in Tallinn, as well as items by Tarmeko and Mang. Creations by village carpenters will also be on display, as they are also form part of the history of the Estonian chair. The exhibition will mostly display chairs from private collections, but also from the collections of the Estonian National Museum, the Museum of Estonian Architecture and the Estonian Museum of Applied Art and Design. The attractive layout of the exhibition sees the chairs reunited with the rooms for which they were created. The exhibition will be open until 30 June 2019. Curator tours and meet-and-greets with chair designers as well as visits to the furniture collection of the ENM will take place starting from February. A catalogue in Estonian and English will complement the exhibition. More information is available on the ENM website at www.erm.ee/en/content/story-estonian-chair.